Wednesday, July 25, 2018 at 3:42 p.m. The City of Spokane is excited to announce we have chosen twelve winners for the Cultural Fund Grant! We received 23 applications for cultural festivals and celebrations, arts fairs and programs for culturally underrepresented populations, lecture-demonstrations and workshops with a cultural focus. The Review and Selection Committee comprised of the Mayor’s Advisory Council on Multi-Cultural Affairs (MACMA) and representatives of the City’s elected officials determined which applicants would receive the $50,000 in funding. The twelve grantees will each receive a portion of the $50,000 of available funds. 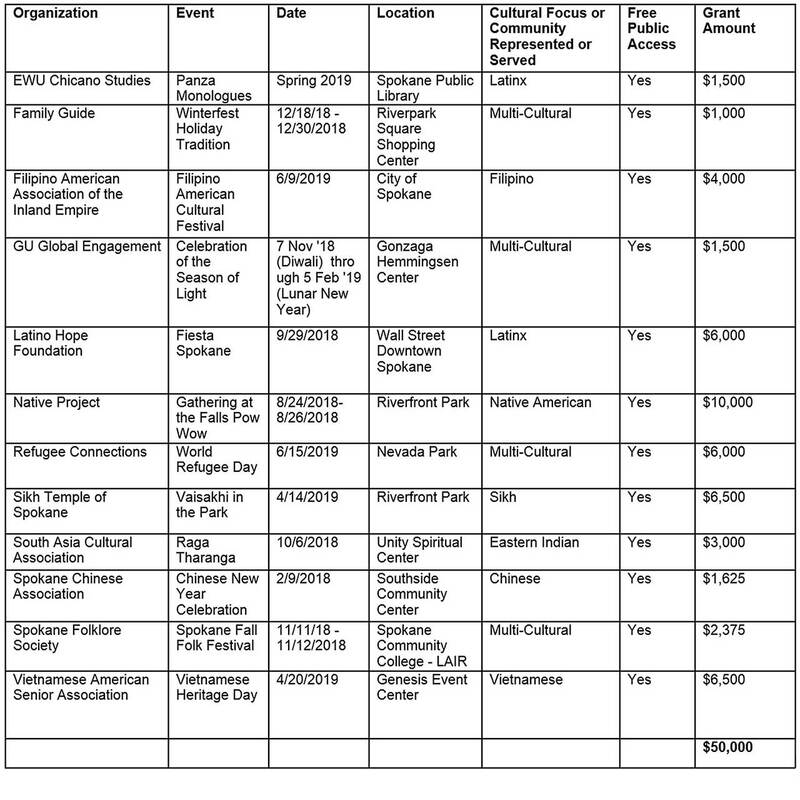 We are excited for these community events and encourage citizens to attend and learn about the diverse cultures represented here in Spokane. All of these events will be free and open to the general public. Congratulations to the grantees, we cannot wait to attend your events!